Do you dream of visiting another planet? If so, your chances of realizing that dream are slim to none — unless you’re willing to give up on space travel and take a slightly more conventional voyage to Bolivia. That’s where you’ll find the Salar de Uyuni, an austere and surreal landscape that’s as close to another world as you’re likely to get. Stretched out in an expansive 4,000 square miles in the remote southwest corner of this South American nation, Salar de Uyuni is the world’s largest salt flat. At an elevation of nearly 12,000 feet, the salar is an endless blanket of hexagon-shaped crystalline salt tiles covering the earth for as far as the eye can see. This, however, doesn’t even come close to describing the stark, unearthly beauty of the place. 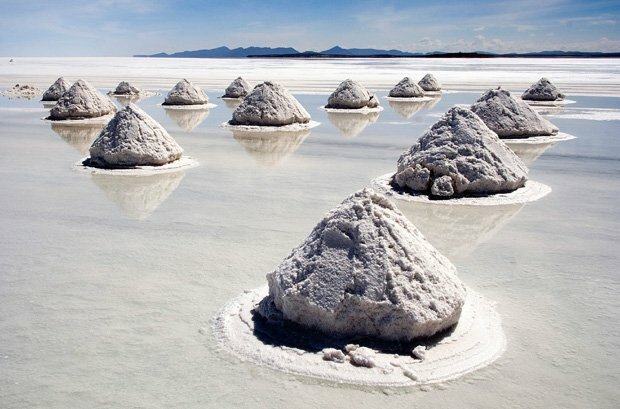 Part of Bolivia’s Andean Altiplano, the Salar de Uyuni was once a gigantic salt lake. Thousands of years ago this lake dried up, leaving behind two huge salt deserts — the comparatively small Salar de Copaisa and the immense Salar de Uyuni. 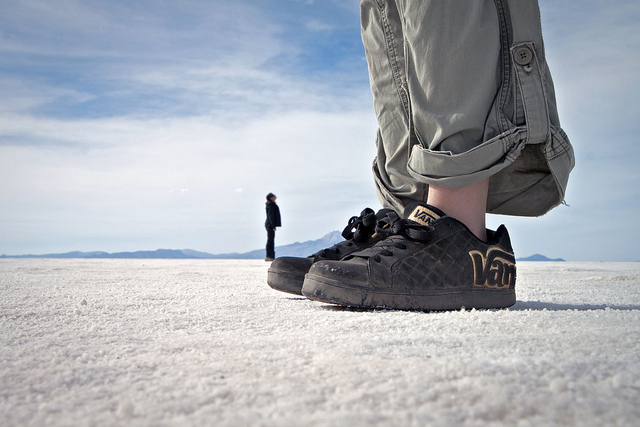 From a distance the Salar de Uyuni looks like a vast, blindingly white ocean — until the Andean rainy season. Rainwater transforms the flat desert plain into a magical mirror of the sky. The bizarre illusions that result make photographs of the salar look as surreal as the paintings of Rene Magritte. The obvious way to tour this incredible landscape is by 4-wheel drive car. 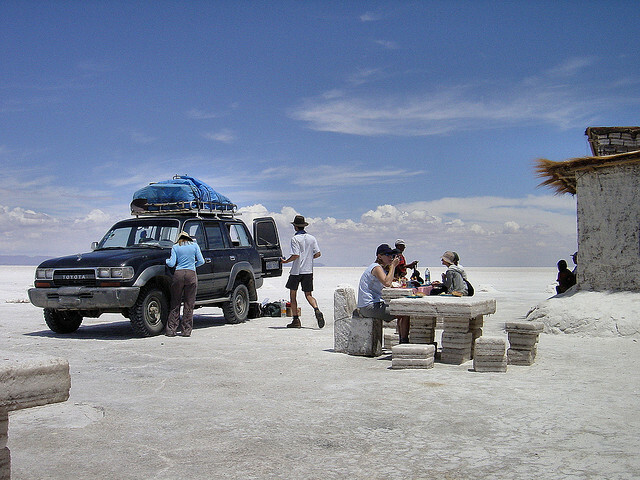 Although the Salar de Uyuni is in a remote part of Bolivia, it’s near the crest of the Andes and some more well-known tourist destinations, and therefore relatively easy to reach. With the blessing of the Bolivian Department of Tourism, there are numerous guides willing to accommodate tours. For a truly perfect way to end a visit to Salar de Uyuni, there’s a hotel made completely of salt — including the furniture. It’s definitely a rustic stay, without any electricity and with water that can only be brought in by truck. But the impenetrable stillness of the desert and the incomparable views of the brilliant night sky will make your journey to this awesome unearthly landscape absolutely unforgettable.